2017 In A Sentence: The Coyotes advanced to their first ever FCS playoff appearance and won its opening round game at Nicholls State before narrowly falling at Sam Houston State in the second round to finish the season 8-5 overall. Biggest Shoes to Fill: QB Chris Streveler played in 23 games in his USD career. He completed 480 of 754 (63.7 percent) passes for 6,081 yards and rushed for 1,573 yards. He totaled 74 touchdowns (54 passing). In his last collegiate game, he threw for a FCS playoff record 520 yards in the loss to Sam Houston State. He was picked up by the Canadian Football League’s Winnipeg Blue Bombers and started three games to start the CFL season already. Key Player: DE Darin Greenfield was named to a number of All-American squads after his 2017 season. The now-junior tallied 59 tackles in 2017 with a team-best 19.5 tackles for a loss. 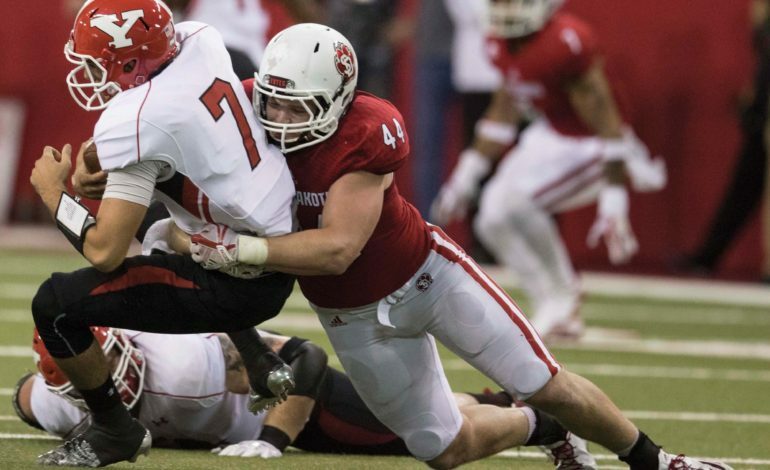 That figure marked him tops in the MVFC and fifth nationally. His nine sacks ranked 18th nationally and second in the MVFC. He will look to lead a defense that needs to improve as a unit, it gave up over 26 points per game. Fearless Prediction: USD will look to build on the 2017 playoff team and hope to get back to this position again. The schedule will help the Coyotes as it has seemingly its top three conference opponents in NDSU, SDSU, and UNI all at home this year but also has a tough non-conference slate headed by FBS Kansas State and Big Sky champion Weber State both on the road. 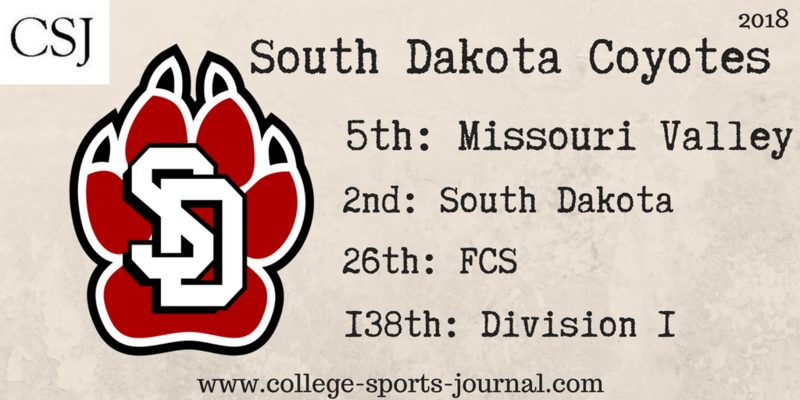 With a new quarterback at the helm and tough schedule, a slight set back in wins will likely happen for USD but very well could still be good enough to sneak into the FCS playoffs.